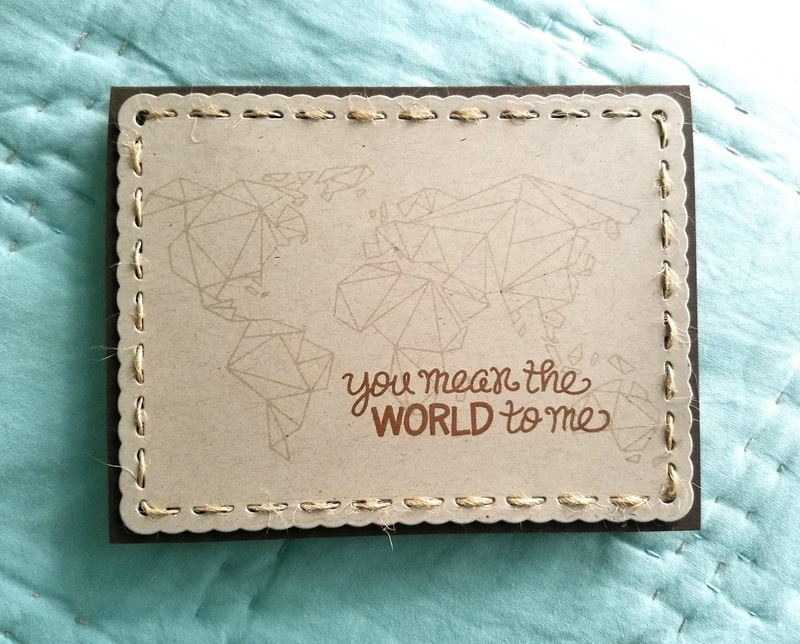 Today I have a card to share that I made for each of my kids, because they do mean the world to me. I don't think the picture does this card justice. I didn't have time to get out my light tent, so I just snapped a pic with my phone. I really do love the way this card came out, and used products from Papertrey Ink (die), Lawn Fawn (the sentiment stamp), and Neat and Tangled (origami map stamp).